Kontakt is a software application and plug-in that can be used as a stand-alone software instrument, or as a plug-in inside a DAW. It is primarily a 'sample playback' engine and comes with a decent library. 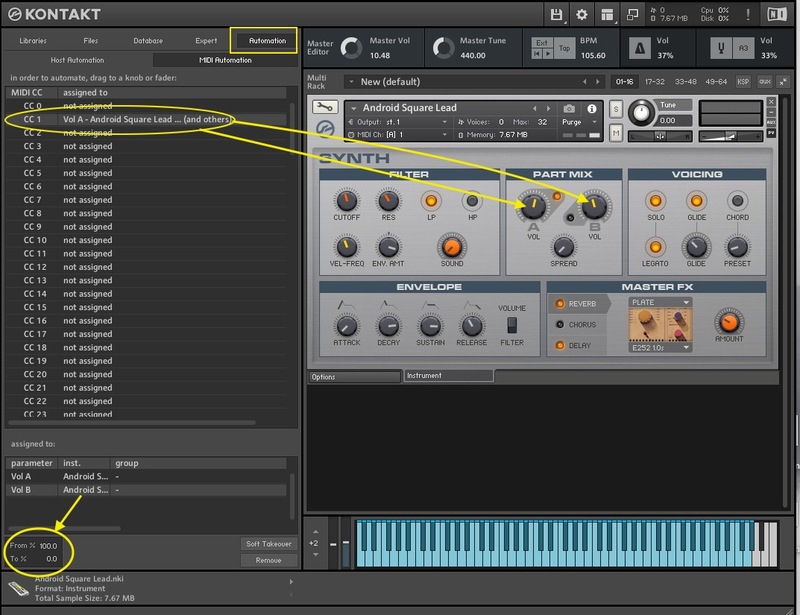 Kontakt can be expanded by purchasing more individual sound libraries with more sounds. You can also also create your own sound libraries in Kontakt with your own samples if desired. The software can be purchased as an individual software application, however I received it as part of the Native Instruments Komplete Bundle. It can be downloaded off the NI website and installed. Authorization is completed using the NI Service Center application. Kontakt is really easy to get started with. The libraries are easy to use - just drag and drop and play your keyboard. 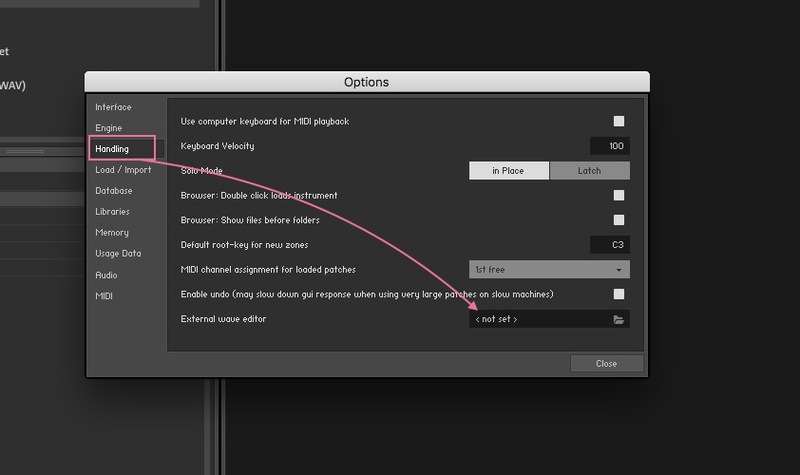 However, Kontakt also allows for deep editing for the experienced user. I am not an expert user by any means, because there is a whole scripting language that can be used for users that really want to program kontakt. I have created sampled drum libraries as Kontakt instruments. The round-robin and velocity layer sample playback is easy to set up, but it might take looking through the manual to understand. My recommendation is to experiment. There are many sample-playback applications on the market. Kontakt comes out ahead in my mind because of the amount of libraries available in the Kontakt format, the innovative user interface, the flexibility of use, and the constant addition of new features. The sample libraries from NI for Kontakt are a bit hit-and-miss. There are a few that stand out in my mind - Damage, Alicia's Keys, Session Strings Pro, etc. There are a few that I don't like - Balinese, George Duke, etc. And a bunch that are average, Studio Drummer, Classic Pianos, etc. There are also a bunch of third part sound libraries to consider. I used Steven Slate Drums 3 in Kontakt for a long time before he released his own stand-alone application. Serious composers should probably look at EastWest libraries rather than Kontakt. 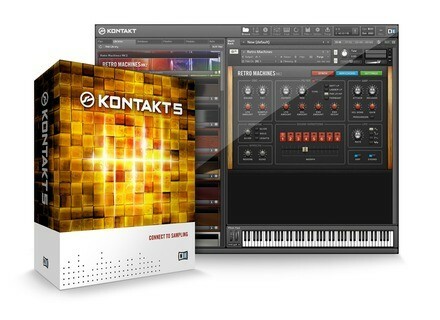 If you are looking to just do some general propose music producing/mixing, Kontakt is the way to go. songboy's review"A solid sampling/instrument tool perfect for the performing musician"
I run this on a Macbook Pro i7 with and RME Fireface 800 and everything runs great. So far there has only been one issue but it was solved with the latest update. For some reason, my instruments would sound muted like someone had placed foam over my speakers. This would only happen occasionally and after the 5.0.1 update, it has not happened at all. The manual is fairly large but contains a lot of info on the many different, powerful tools this plugin has. The general setup is fairly easy. Simply load your instrument, set the midi channel to the midi instrument you wish to use (done in the preferences window) and your off. Most of the basic functions can be found right on the face of the plugin. However, there is a lot of editing and such to be found under the surface, and I mean a lot. So far, the only issue I had was the one mentioned earlier, but that has been cleared up. Other than that, Kontakt 5 has run strong and stable. I have one Library (Galaxy Vintage D) that does not play nice (pops and glitches), but I believe that is Galaxy's fault. I give Kontakt a 9 because it is my go to Soft Instrument player and I can run some decent size sampled instruments thanks to the Memory Allocation tool and get near Zero Latency which is absolutely necessary to play keyboard instruments for me. I have been using Kontakt itself for years but I have only had Kontakt 5 for about a month now. I only gave Kontakt 5 a 9 because of it's one big failing in my opinion: you cannot midi assign every button/knob on the interface. Kontakt 5 offers a lot of great effects and devices that can be applied to each instrument. What really boggles my mind is that there is no way to assign the "Bypass" buttons on each of these effects to a midi button. I like to use effects occasionally on my keys but I don't always want reverb, or delay, or distortion on my instrument. It would make sense to allow me to bypass these effects quickly using the buttons on my Midi board, but that has not occurred to Native Inst. I guess. Fortunately my Interface allows me to "loopback" signal so I can run the output of Kontakt to Guitar Rig 4, which does allow me to bypass effects....go figure. Another strange limitation to Kontakt 5 is it doesn't allow more than 4 effect inserts on each output channel. Another strange limitation that you would think Kontakt could handle. As for what I like, low latency, stable engine. and access to some of the best sampled instruments on the market are the top three. I upgraded for $119. I am willing to pay that much to stay current so I am happy. Because of the low latency and the excellent sound sets both by NI and third party developers, I am very happy with the precsion and quality of the software. I used EXS for sometime but I use both Logic and Ableton so I made the switch so I can use the same sampler in both DAW's. Yes, I highly recommend Kontakt 5. There where no compatibility issues with any of the software I used with it, everything is pretty much straight forward right in front of you. It will take time to get use to changing the sounds and making your own, but with the ability to create your own and save it as a preset is a wonderful thing. The manual is very easy to understand and can guide you through the whole set up process and getting started. Kontakt also offers great customer service over the phone and through email, they will answer any questions you may have. This Software works perfectly even when rewired with fl studio or with reason. I have been using Kontakt for about 1 year and a half now, and I love every minute of it. At the point I am at now, i just kontakt in a lot of my compositions. I work in several different genres and kontakt has well rounded sound for any genre of music. This software is easy to use, you maybe to tweak a lot to get the sounds exactly how you want them. But after you get the hang of it, the tweaking part comes natural so it wont take to long after that. The thing that i dislike about kontakt is sometimes the sounds seem to be a little to airy. And it can take a lot of tweaking to get what you want, sometimes its frustrating with all the presets sounding so airy and not crisp. But if you are willing to put in the work, you will have great sounds. I am extremely happy with my choice to go with Kontakt. I have been using them for over a year now and they deliver a quality product at an affordable price. The precision and quality of sound sounds like it came from a 2,000 dollar keyboard. wxc's review (This content has been automatically translated from French)" perfect"